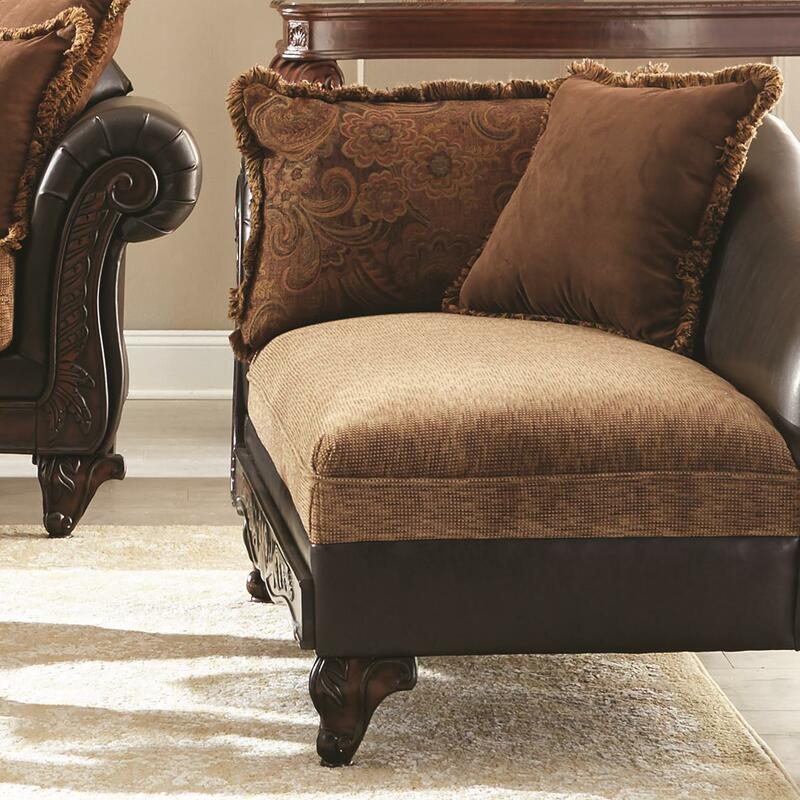 Beautifully-styled, this traditional chaise highlights formal elegance for your living room. Crafted from a kiln dried solid wood frame, the chaise features solid wood arms and an intricately-carved detailed base and solid rubber wood legs. Completed with supportive pocket coil seating and two accent pillows, this piece is a wonderful accent for your living room setting. The Garroway Traditional Chaise by Rooms Collection Two at Rooms Furniture in the Houston, Sugar Land, Katy, Missouri City, Texas area. Product availability may vary. Contact us for the most current availability on this product. Leg or Skirt Solid rubber wood legs with carved details. Wood & Finish Light espresso. Frame Construction Kiln dried solid wood frame. Seat Support Pocket coil seating. Padding & Ergonomics High density foam seat cushion and accent pillows. The Garroway collection highlights beautiful formal elegance and wonderful style. Crafted from a kiln dried solid wood frame, the pieces feature rolled, solid wood arms, pocket coiled spring and high density foam cushioned seats, exposed carved legs and additional accent pillows for comfort. 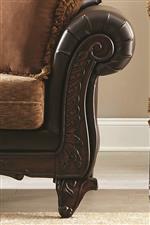 Superbly-styled with traditional design, the Garroway collection is a great addition to your living room. The Garroway collection is a great option if you are looking for Traditional furniture in the Houston, Sugar Land, Katy, Missouri City, Texas area.